Mango season is here... yay ! 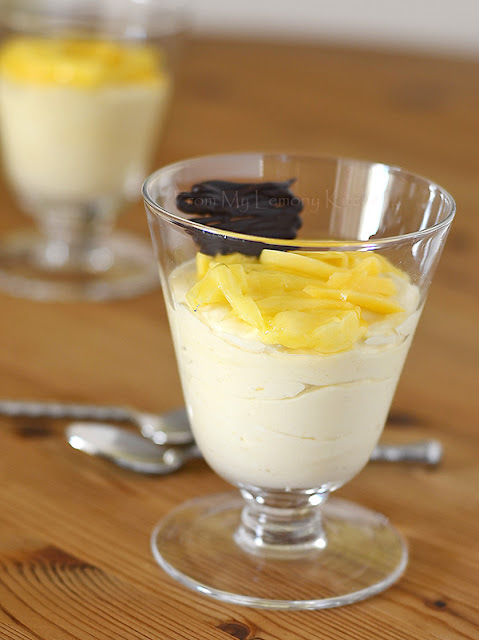 The recipe was adapted from Mango Magic by Bay Books. Peeled and puree 2 mangoes and add sugar. Stir well. Sprinkle gelatine over the juice and place the bowl over hot water and stir to dissolve. Fold dissolved gelatine in the mango puree. Whip up the cream, then fold in mango mixture. 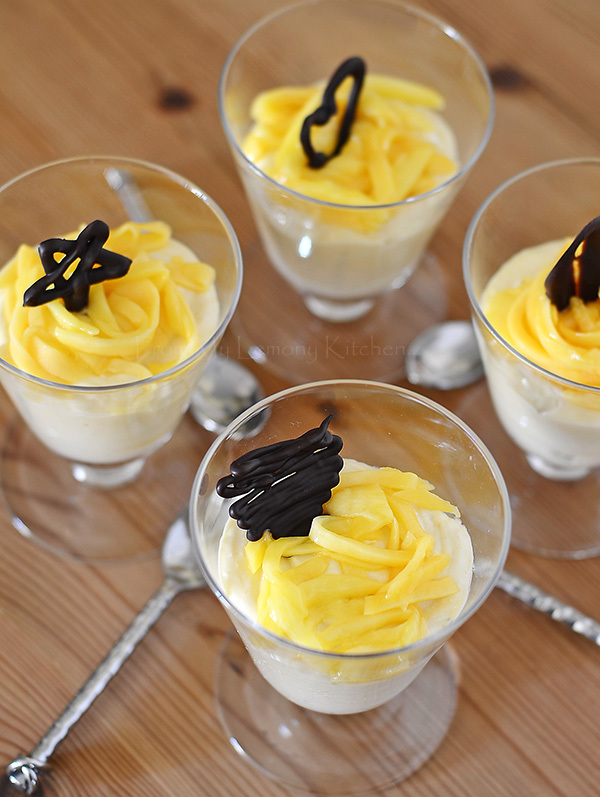 Very lovely mango mousse! I posted the same :) Great minds think alike! 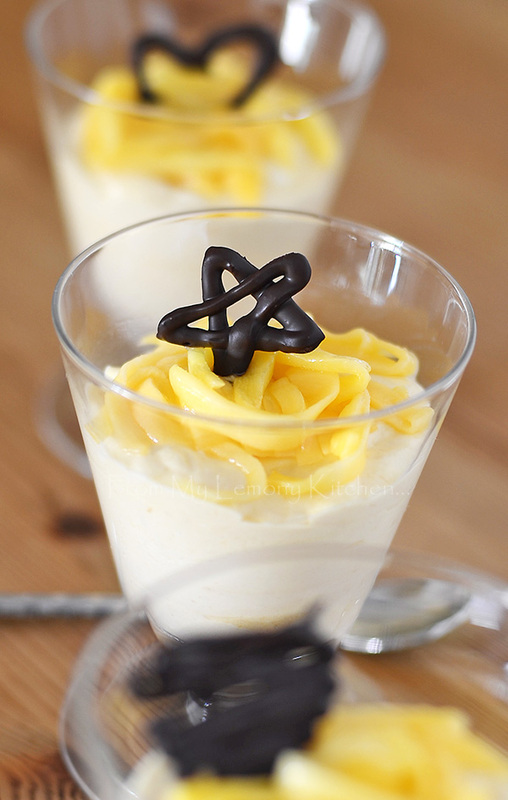 Your mango dessert is making me much happier. We love mango too! Mousse must have tasted great. They look so pretty and sound so delicious!